Dear Antoine, I’m looking to open a business in Vietnam in the next few months and wanted to discuss some of the ambiguous Vietnamese visa laws. Although the visa situation is constantly changing, do you know with what visa I can open a business in Vietnam? I’ve read that if I co-own a joint stock company (JSC) here with my Vietnamese colleague I can apply for a work permit on that business? Is this true? But before that, what visa do I begin with—a business visa I’m guessing? Some visa issues are more complicated than others—and visas are not the clearest one, considering the number of different types of visa. Let’s see what the Vietnamese law says about it. Define Your Position In The Company: Executive Or Board Member? 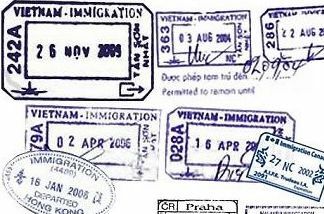 First thing you need to know: a work permit is required for any foreigner working in Vietnam, save some exceptions. According to one of these exceptions, the members of the board of management of a Vietnamese company are allowed to exercise their assignments as members of the board in Vietnam without the need to obtain a work permit. However, this exception is limited to members of the board. Other positions in the company do not offer the same advantage: For example, the exception does not apply to the chairman of the board or to the director of the company. If you hold concurrently one of these positions and the position of member of the board, then you need to obtain a work permit. Coming back to your specific situation—to partner with your Vietnamese colleague to set up a company in Vietnam—it means that work permit requirement will depend on the role you wish to have in the company. If you’re considering an executive position in the company (such as director), then you will need to obtain a work permit. But if you plan to only invest in the company without having an executive role (while holding a seat at the board to oversee and determine the company’s activity), then you may avoid the work permit requirement. To give you a more practical idea of what that means, the director of the company, as the “legal representative,” has the obligation to reside in Vietnam. He, or she, manages the day-to-day activity of the company. In comparison, the board of management meets generally four times a year only. During the meetings, the board members define the general policies that would be implemented daily by the director. The second thing you need to know: in case you enjoy the above-mentioned exception to the work permit, you are required to obtain, from the provincial authority where the Vietnamese company is registered, a certificate of exemption of a work permit, which is issued at the request of the company. After having obtained this certificate, you may apply for a temporary residence card. The procedure to obtain such certificate of exemption may be a little bit lengthy, but in any case, will be less burdensome (especially in terms of paperwork) than the work permit procedure. What is important for you is the following point: you may have a work permit (executive position) or be exempted of work permit and have a certificate of exemption (board member), in both cases you will be allowed to stay in Vietnam for a long time and receive a temporary residence card. This card will allow you to reside in Vietnam and to go out and in the territory as much as you wish. What About The “Preparation Phase” (Before Establishing The Company)? The above advice applies to you once the company is already established and operates. However, before operation of the company, you may need to be in Vietnam in order to prepare your business with your Vietnamese colleague: for example, to find the appropriate premises, to open bank accounts, start negotiations with partners and providers, etc. There is not really a specific visa for the “preparation phase” of an investment. Some businesspeople use a tourist visa. Others find a sponsor in Vietnam that invites them for business purpose (for example, this could be one of your future client). These kinds of visa may be up to 12 months. I hope the above will be helpful and I wish you good luck on your business project! Rare are the websites that provide such information! Thank you immensely!